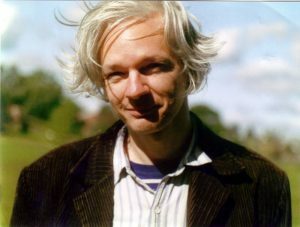 While the story of Julian Assange, Wikileaks and the leak of troves of documents from Chelsea Manning to the hacked DNC and Hillary Clinton documents is well known, along with his many years holed up in the Ecuadorian Embassy in London, less known is the story of Assange’s life growing up in Australia and his early years as a renowned hacker. At thirteen Assange began working in an electronics shop and had a Commodore 64 computer at his disposal. He began teaching himself how to code. By sixteen he had his first modem. Attending a “gifted program” in Melbourne, Assange discovered the art (and science) of hacking. 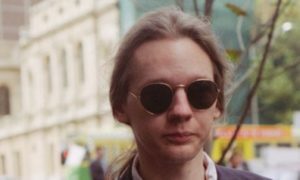 By his early 20s, Assange had become Australia’s foremost hacker. As with the earlier infamous hackers, Kevin Poulsen and Kevin Mitnick, Assange became obsessed with “phreaking.” Along with two of his cohorts, Assange began producing a magazine called International Subversives devoted to the art of phreaking and offering how-to’s on everything from making free long distance calls to breaking into phone systems. Apparently the entire readership of the publication was Assange and his two cohorts. In 1991, Assange and his hacker pals, “Trax” and “Prime Suspect,” broke into MILNET, the U.S. military’s network that served the United States Department of Defense traffic, where he claimed to retain not only access with a backdoor they had created, but “total control” of the system for two years. He was said to have hacked “thousands of systems” including the Pentagon and the U.S. military’s Security Coordination Center and regularly broke into Australia’s National University. Assange’s main hacker handle was “Mendax.” During these years the hackers he worked with collectively went under the same group moniker as their publication, International Subversives. 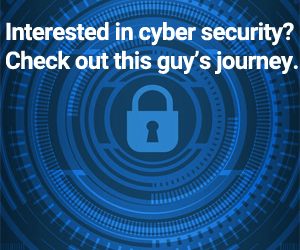 The group also successfully hacked NASA and the Los Alamos National Laboratory. Soon Fearing that the authorities were closing in on him, Assange “wiped his disks, burnt his printouts” and went on the lam with his girlfriend (soon to be wife) and mother of his child, Daniel. Soon after his wife took their child and left Assange. At this point he was said to have wandered around Australia’s national parks, sleeping outdoors and at one point was hospitalized for depression. In 1994 Assange was finally charged by Australian authorities for his hacking escapades and in 1996 he pled guilty to 25 counts of hacking. The prosecution described Assange as “the most active” and “most skillful” of the group, and pressed for a prison sentence. Assange’s motive, according to the prosecution, was “simply an arrogance and a desire to show off his computer skills”. Assange continued his work as a software developer and enrolled at the University of Melbourne where he studied mathematics. Eventually he dropped out of school citing moral grounds as the students were working on military projects. In 2006 Assange began his work on WikiLeaks and the rest is history. You can find out much much more by simply Googling Julian Assange. In January of 2019 Wikileaks sent out “advice” to journalists about things NOT to say about Assange including that he was not a “hacker,” does not bleach his hair and that he doesn’t have poor personal hygiene. Assange began his several year exile/stay/house arrest in the Ecuadorian Embassy in London in 2012. As of the writing of this article [April 2018], that’s roughly six years. As a hacker he never “stole” anything for financial gain.